Treating a loved one with Alzheimer’s is never easy. But Memorial Hospital has rolled out a new program designed at comforting patients suffering from the disease. 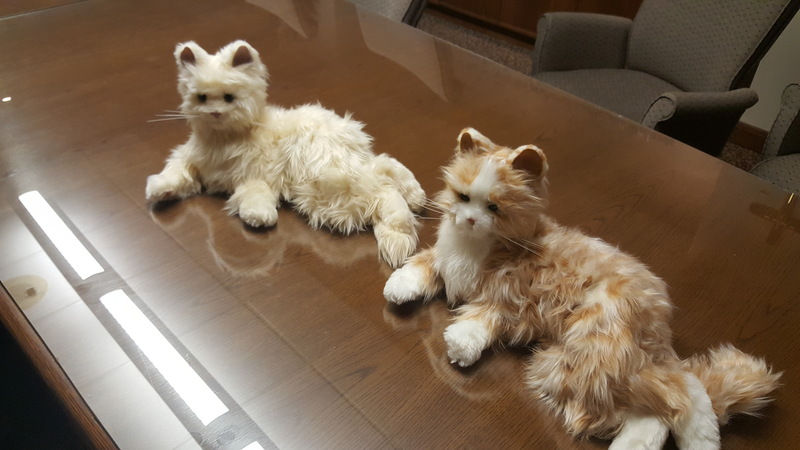 Therapy cats.Realistic robots that mimic the actions of a real feline. "We've been able to introduce the pet therapy, or companion therapy, with them, and, for those patients who've had pets previously, it's actually worked very well as a behavior modification means for us rather than having to use medication intervention for those patients," says Jodi Richardson, Director of Behavioral Health at Memorial. The cats purr, meow and move just like a real cat.Richardson says it’s already working on some patients. The therapy cats are not cheap.The hospital has received grants and donations to purchase more.And, there’s a way YOU can help. "We do not pass the cost [of the cats] to the patient," says Richardson. "We can [receive] donations through the Memorial Hospital Foundation and we have a Caring Hands Senior Services Unit Foundation account that we would be very happy to take donations for that." Memorial Hospital’s behavioral health department is a short-term stay facility. The electronic cats are given to the patients, at no cost to them. They even get to take their new feline-like friend home to keep.